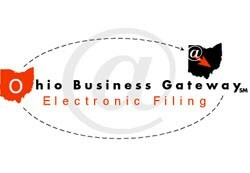 Registration through the Ohio Business Gateway (OBG) is recommended for vendors and out-of-state sellers. Individuals or businesses that register through the OBG will be able to use the same user name and password for both the OBG and The Finder. Click here to create an OBG user account. This screen allows for anonymous registration on The Finder for tracking taxable sales, uploading data files, and reporting taxable sales data. Registration on this screen includes capability for retrieval of forgotten/lost passwords if you provide your e-mail address below.